With the Chicago election less than three weeks away, candidates in the crowded mayoral race continue trying to distance themselves from Ald. Ed Burke as federal investigations shake up City Hall. Ford Motor Company is investing $1 billion and hundreds of jobs into South Side factories, but the closing of two Target stores in the predominantly African-American neighborhoods of Morgan Park and Chatham has community members upset and looking for solutions. In sports, members of the Ricketts family distance themselves and the Cubs organization from patriarch Joe Ricketts after recently released emails show the 77-year-old billionaire espousing anti-Muslim views. The conversation continues in our web-extra video. 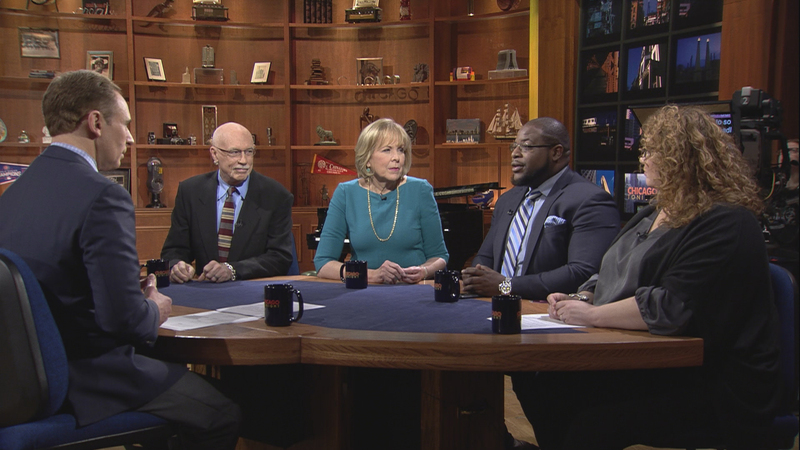 This week, Arruza and guests discuss whether the Chicago Sun-Times recent endorsement of Lori Lightfoot in the race for Chicago mayor will help boost the former federal prosecutor’s campaign. What’s the impact of newspaper endorsements in general?